A range of height and materials are presented by these Karen Millen Flagship Store Boots In Step. Use of a single boot rather than the pair simplified the display and removed potential visual clutter. With 4 styles to choose there is sure to be something for everyone, though if you want thigh high boots you will need to inquire directly. 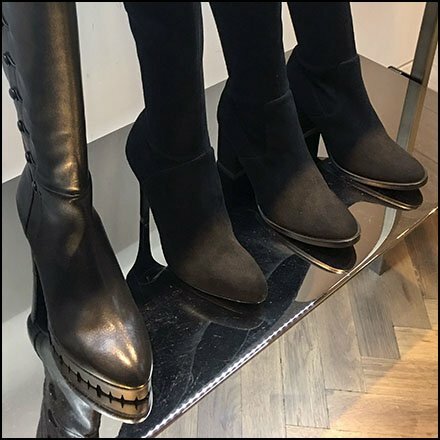 These Karen Millen Flagship Store Boots In Step seen at the 5th Avenue Manhattan Store.